MontGras Colchagua,The Wine Ladies Adventure in Chile. MontGras Colchagua, Cabernet and Carmnere. 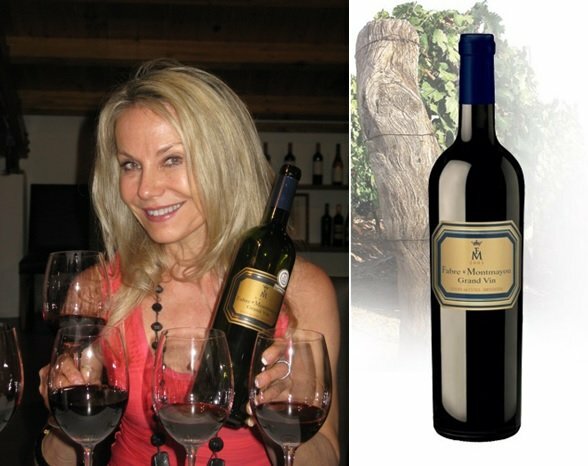 Crazy for Cabernet in Chile…. and Carmenere too! Stunning Santiago with the Andes as a backdrop. Breathtaking! 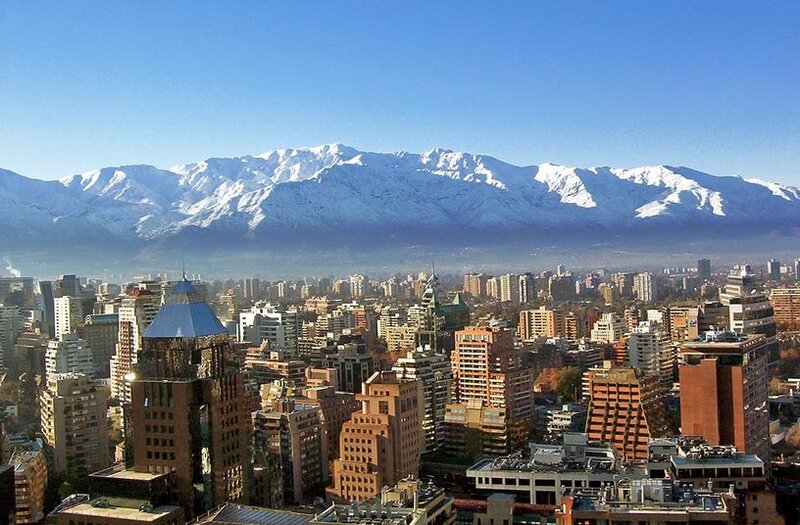 A moment in time, frozen in our minds for ever was the vision of the spectacular Andes mountains as we approached the captial city of Santiago, Chile. Breathtaking in a rainblow of colours, we inhaled the magnificence of the largest mountain range in the world. Chile, at last, we’d so been looking forward to this day! 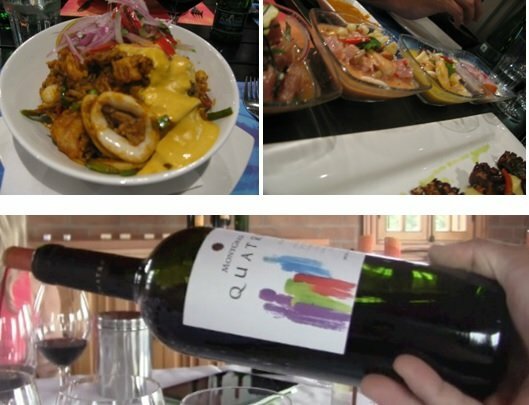 On the world wide stage of wine, Chile has an enviable position! Welcome to Chile! It may be long and skinny in size and shape. However, it’s awfully big and fat when it comes to fabuous wines and food! As a wine producing country Chile has been dealt a winning hand thanks in large part to its natural barriers. The Atacama Desert in the north, the magnificent Andes Mountains in the east, Patagonian icefields to the south and of course the Pacific Ocean to the west. These geogrpahic barriers serve Chile well, protecting the vineyards from pests and disease, while also facilitating organic and even biodynamic viticulture. Chile, in fact was never affected by the root eating louse Phylloxera. Phylloxera decimated the winegrowing regions in the mid 1800’s. As a result grafting was never necessary and the great majority of Chile’s vines are planted on their original rootstocks. Unlike the majority of grapevines in the “old world” planted on the hearty North American rootstocks, their saviour! 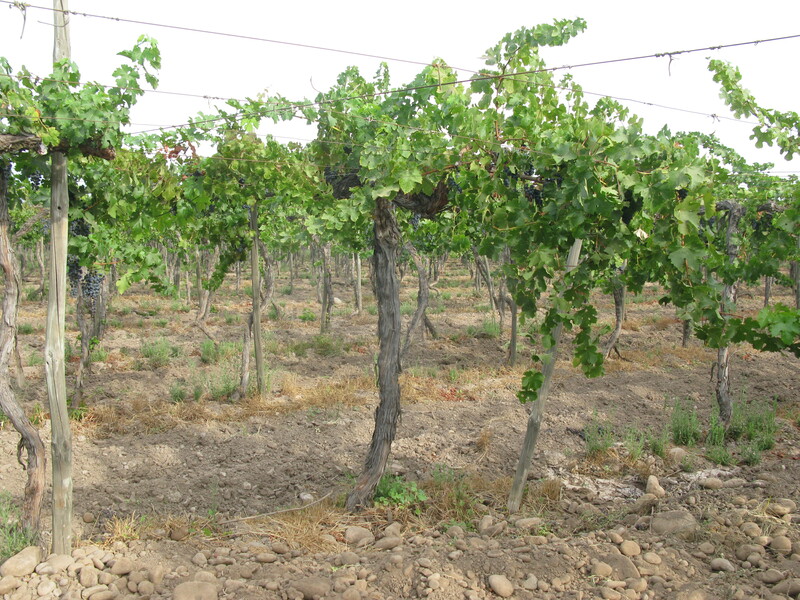 Many maintain Chilian vines are at a huge advantage with vines better able to express their character and their terroir. On our all too short recent visit to Chile we had the opportunity to experience three of the fourteen wine regions. 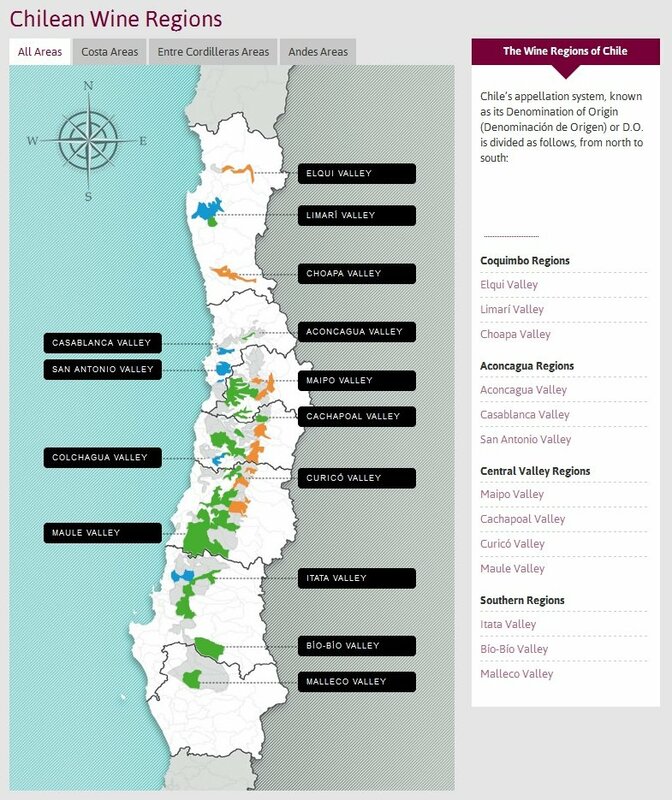 The regions including the Maipo Valley, “numero uno” for Cabernet Sauvignon. Leyda, the newest cool climate region producing premium white wines knocking it out of the ball park. The Colchagua Valley, one of Chile’s best-known regions particularly applauded for its Carmenere, Syrah and Cabernet Sauvignon. Here we share the time we spent with Mont Gras Properties, a company founded in 1992 by brothers Hernán and Eduardo Gras as well as Cristian Hartwig, who has since moved on to other avenues. 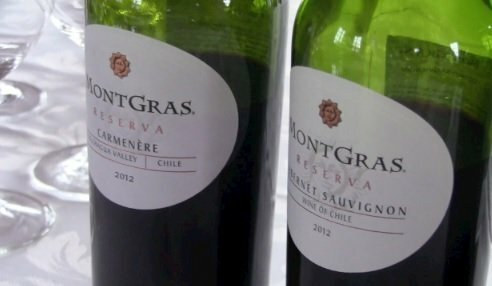 Mont Gras Properties’ mission was to create world-class wines that reflected Chile’s best terroirs. Today, “mission accomplished” with Mont Gras enjoying tremendous success with their line-up of wines including a variety of Mont Gras Colchagua, their ultra-premium “Ninquen” reds from Chile’s first mountain vineyard also located in Colchagua, Amaral from Leyda and last but not least INTRIGA Maipo 1865. Our introductory evening totally rocked… Hernan and Juan Pablo Quijada, Export Manager, “personality extraordinaire” took us to “La Mar”, one of the best, most happening, colourful and amazing restaurants in town. The music played, the apps arrived, the wines flowed, but not before a couple of Pisco Sours arrived! Pisco is a traditional drink of Chile, made from specific grapes, fermented and distilled into a potent aguardiente. The Pisco Sour cocktail is delish, but imbiber beware…. it has a way of catching up with you, with its seductive sweeetness and flavour! Our 1st night in Santiago, Chile included a delicious dinner at La Mar. Hernán Gras and Juan Pablo Quijada of MontGras show us the sites. From the sea…. or ocean we enjoy an assortment of ceviche, dressed in varying treatments, amazingly delicious! Main courses include scallops, sea bass, conger and more. We enjoy a bottle of Mont Gras’ Quatro, made from selected handpicked grapes, a blend of Cab Sauv, Carmenere, Syrah and Malbec, aged for approximately eleven months in French and American oak, the bouquet is seductive with black currant, spices hints of leather and vanilla, with a long finish, delicious. Alas…bid buona noche, tomorrow a full day in planned. The “work” is now about to begin! At the tasting table, overlooking the stunning vineyards of Mont Gras Cabernet Sauvignon, head winemaker Santiago Margozzini is at the helm…before too long we are totally engrossed in passsionate and enlightening conversation and tasting. MontGras winemaker Santiago Margozzini led us through an informative and entertaining wine tasting. 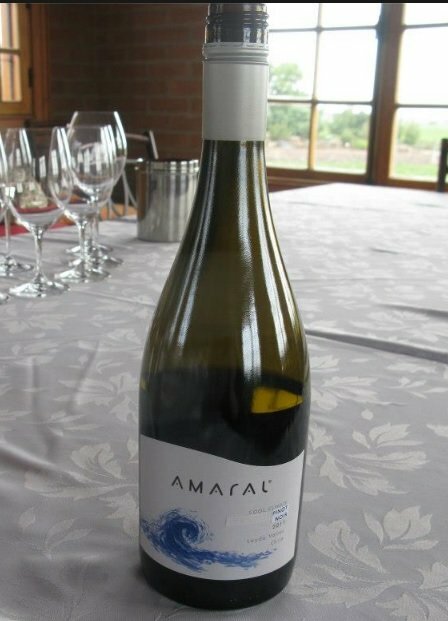 Santiago, passionate and articulate starts with the Amaral Sauvignon Blanc 2012… Susanne loves Sauvignon Blanc! From one of the newest cool climate regions “Leyda” delish, crisp, aromatic with grapefruit and touch of mango, captivating mouth watering acidity, nice clean finish. Leyda is a sub region of San Antonio located southwest of Santiago in a small valley between the Coastal Mountain Range and the Pacific Ocean with the climate proving excellent for Sauvignon Blanc. On to the reds and on to Carmenere. Carmenere, the grape that is quickly becoming the natural associated grape with Chile! A grape with plantings in Chile that was thought originally to be merlot, brought over from France. With leaves that look almost identical it suffered an identity crisis! Until an ampelographer (wine grape scientist) discovered differently. 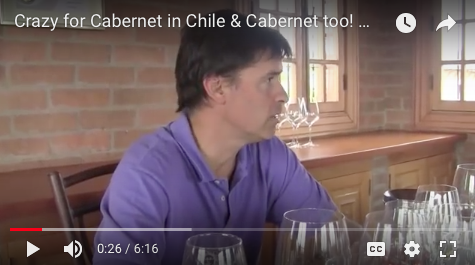 Lead winemaker Santiago explains here how it was discovered and how it has come to be a true appreciated grape in its own right, especially here in Chile. Carmenere has so become a major player that it too now has its own wine glass specifically designed by Riedel. 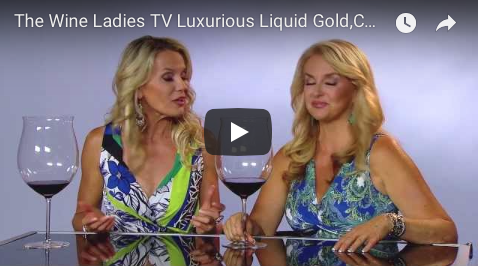 This glass allows the best enjoyment and appreciation of its unique properties! With a more tapered shape engineered to capture and concentrate the aromatics of this ever popular, late ripening grape. The grape that exudes spice, black fruit, ripe fruit, soft tannins. Done right, Carmenere can seduce the most discerning of palates whether on its own or blended with a king… Cabernet Sauvignon! From the mountain vineyard our final wine, the flagship Ninquen 2009, 60% Syrah, 40% Cab Sauv, aged for 24 months in 90% French and 10% American oak. Ditch the spitoons, it’s a wrap, bring the carafe! Layered and complex with touches of leather, lots of alluring ripe black fruit, spice and a long lasting finish. 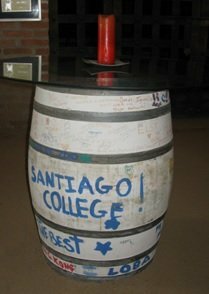 We are enrolled into Santiago’s winemaking college! So you think being a winemaker is an easy gig? Think again, as we are ushered down to the cellar where we are faced with creating our own wine! From the blend, selecting varying proportions of Cab Sauv, Carmenere and Merlot, to bottling, corking, labelling and picking a name! Loads of fun, it’s back to chemistry 101, with test tubes, measuring apparatus, calculater and nose and taste buds! We are put to the task! Pinch me! Seriously! Horseback riding in the vineyards in Chile! Really??? Nothing like riding on horseback through the Ninquén vineyards, simply magical! Planted with Syrah, Cabernet Sauvignon and Carmenere, the ultra premium reds that these vineyards produce are now iconic and have set a stage for further vineyards climbing “to the top”. 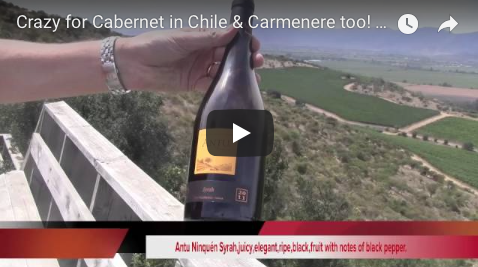 Once atop we inhale the air, the Andes, the vineyards while we sip on the Antu Ninquen Syrah 2011… so rich, with notes of black and white pepper and hints of leather and with ripe black fruit. We’ve developed quite the appetite! A scrumptious lunch awaits us “city slickers”! Note, Susanne’s be-jewelled dress, perfect for horseback? Final stop… INTRIGA, located in the Maipo Valley originally dating back to 1865 as Vina Linderos was taken over by MontGras Properites in 2005. The Maipo Valley is known for their Cabernet Sauvignon and INTRIGA is a vineyard producing some of the finest under the direction of winemaker Cristian Correa. We have the privilege to share with Cristian his latest two vintages as well as a barrel sample of the 2012. INTRIGA is a vineyard producing some of the finest under the direction of winemaker Cristian Correa. Today, over 140 years after its establishment, Intriga remains with the same mission and concept: Produce premium quality wines with great care of the fruit and the environment. We’d like to extend a big thank you to everyone at MontGras for welcoming us and sharing their enthusiasm and passion for their wines, the incredible wine regions, the cuisine and the joie de vivre that surrounds it all in your beautiful country Chile! 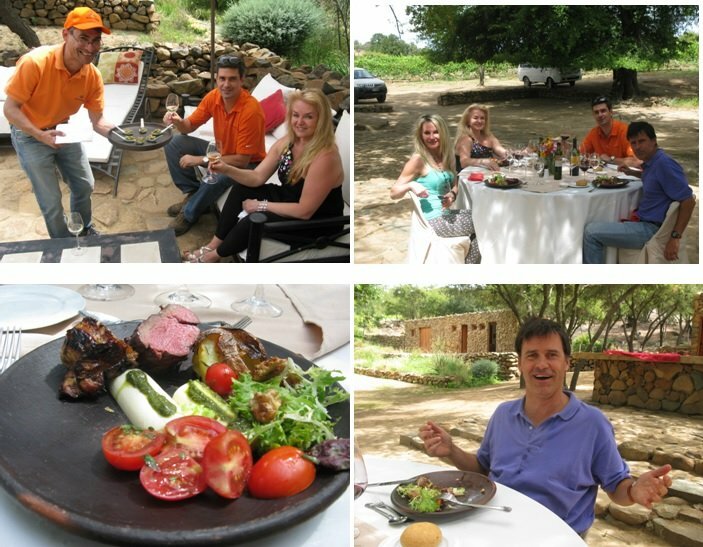 It was truly a magical visit and we departed “Crazy for Cab in Chile and Carmenere too”! 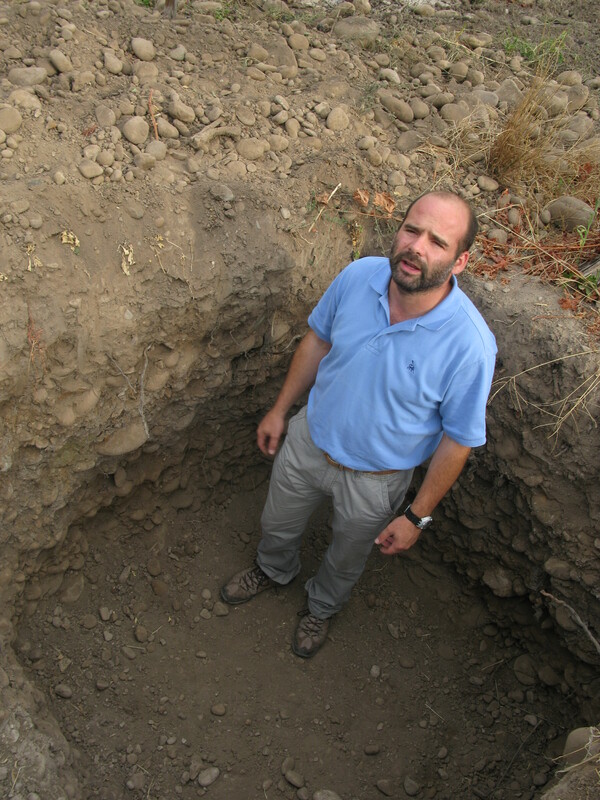 Meet head winemaker Santiago Margozzini of MontGras. On this week’s audio podcast. https://www.thewineladies.com/wp-content/uploads/2013/03/chilesantaigoandes.jpg 536 816 Susanne Seelig-Mense https://www.thewineladies.com/wp-content/uploads/2017/08/WineLadiesLogoTransparent.png Susanne Seelig-Mense2013-03-20 13:25:222018-03-31 15:29:28MontGras Colchagua,The Wine Ladies Adventure in Chile. 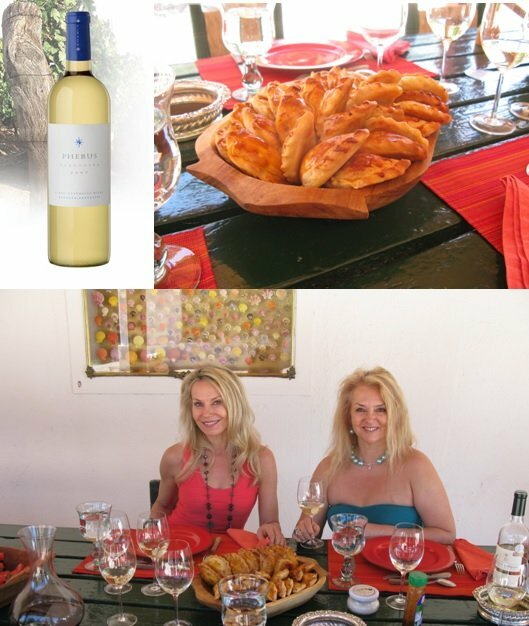 We are mad alright, about the amazing Malbecs we enjoyed on our recent visit to Mendoza, Argentina. A grape that was once popular in Bordeaux as one of the 5 permitted players in traditional Bordeaux blends, say Malbec today and the automatic response is “the grape of Argentina” and with good reason! The Malbec grape is to Argentina as Shiraz is to Australia, Zinfandel to California, Pinotage to South Africa and more recently Carmenere to Chile… it has found its niche, putting this grape on the world wine map, producing amazing wines, with descriptives the likes of “floral, violets, licorice, spicy, deep red and black fruit, chocolate or coffee… and most distinctively the sweet, soft, silky, mouthfilling tannins! Such an impact has been made with this varietal in its modern domaine that an annual tribute “Malbec World Day” will be celebrating its 3rd anniversary April 17th, 2013. The 43 countries which participated in 2012 will surely be surpassed this year! Watch for events happening in close to 100 cities, including our very own Toronto! Although with a rich history and deep roots, Malbec was first planted in Argentina as far back as 1852 brought over by French agronomist Michel Pouget, it is only in the last couple of decades that it has begun to take centre stage, and be so deservedly appreciated around the world of wine. While in Argentina we experienced the magic of Malbec first hand, while even more magically against the constant backdrop of the absolutely breathtaking Andes, the largest mountain range in the world, the lifeline for the Malbec vineyards and others, providing them the drink to survive and thrive. The Andes, Cordon del Plata peak makes a stunning backdrop for the Fabre Montmayou vineyards. Our itinerary included visiting the two primary wine producing provinces in the country; Mendoza, responsible for 80% of all wines produced and second in production San Juan, a little further north, with differing soils and climate producing wines of its unique personality. First stop was in Vistalba located in the “departement” of Lujan du Cuyo, in Mendoza, at a boutique winery called Fabre Montmayou. Geographically, think of Argentina as a big set with multiple subsets. Argentina, divides into fourteen provinces, with Mendoza being the king-pin of wine production, within Mendoza there are “departments” which include Lujan de Cuyo and the Uco Valley, which we later visit, with each expressing differing characteristics, and within the department of Lujan de Cuyo is Vistalba, the home of Fabre Montmayou. Georgia inspects the Malbec with winemaker, owner, director Hervé Joyaux Fabre of Fabre Montmayou. The Andes,Cordon del Plata peak makes a stunning back drop to the Fabre Montmayou vineyards. We had the privilege to spend a few days with Herve and his lovely wife Diane, an integral partner in the business, and our experience was one of incredible wines, amazing foods including Argentine specialties empanadas and the “asado” as well as the world renown Fiesta Vendimia, a spectacular show celebrating the Argentine grape harvest. Here are a few of the highlights of our visit with Herve and Diane. Our first day in the vineyards and at the winery had us busy participating at the sorting table as the first grapes were harvested for 2013, the Sauvignon Blanc. A tasting of FM wines left a great impression on us, showcasing the superb quality of wines that are being made at very affordable prices. The FM Malbec excels, takes center stage, their top seller. 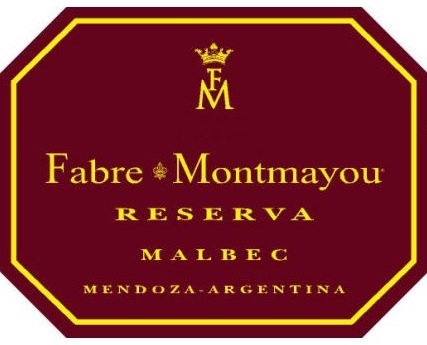 We are excited to learn that this particular Fabre Montmayou Reserva Malbec 2011 will be available in our Ontario market just in time for Malbec World Day. You may taste this Malbec at the Malbec World Day celebration taking place in Toronto, April 16th, 2013 at the VINTAGES, walk-around tasting at Roy Thompson Hall. The Phebus Torrontes, LCBO $14.95, perfect for a sunny day in Argentina and delicious with the classic Argentine dish, homemade empanadas! Grand Vin for Georgia alone! The Fabre Montmayou Grand Vin is rich, seductive, deep red in colour, with plum and cherries, mouth filling with soft tannins and hint of vanilla from 16 months aging in 100% French oak barrels. Blend is comprised of 85% Malbec (circa1908 vineyards), 10% Cabernet Sauvignon, 5% Merlot. Say yes to Argentine Beef! 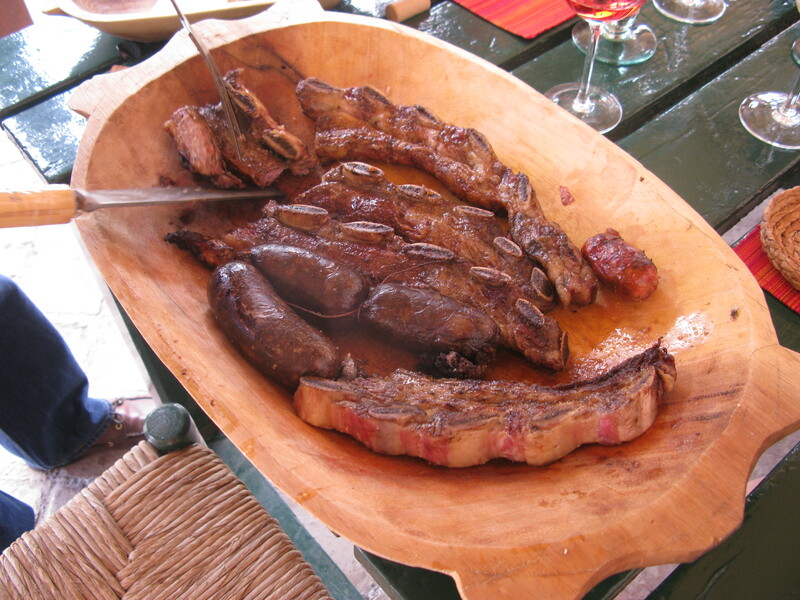 With typical Argentine BBQ the asado! Chef Herve instructs on the “methodology” to the asado… six cuts of beef, including sweetbreads, one of Georgia’s favs, and two of pork. So delish! At Fabre Montmayou Hervé and Diane are committed to farming with traditional methods and without herbicides to protect the environment and be sure to get the finest grapes. The grapes are hand picked and transported in small trays to prevent them from crushing under their own weight. They have been rewarded and awarded with international acclaim, stemming from great passion and Bordelais Savoire-Faire! Voila! 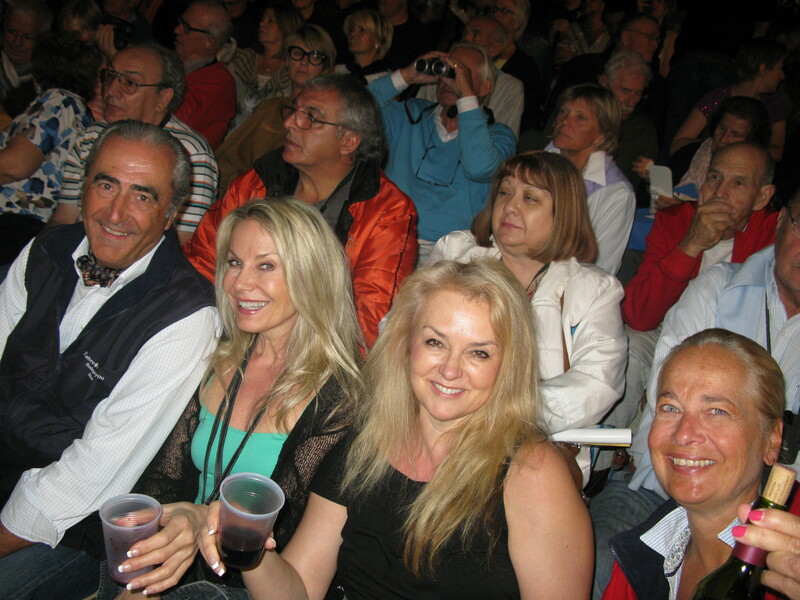 Enjoying the Festiva Vendimia with a bottle or 2 of wine, great company, music, dancing, fireworks and awaiting the crowning of the Queen! Oh what a night! On to one of the most celebrated wine events/shows on the global wine scene the Festiva Vendimia! Over 30,000 spectators will gather for this spectacular show taking place at a Greek style amphitheater in Mendoza. We are there, joining in a lengthy walk up the hill, accompanied by hundreds and hundreds of people, ascending, the enthusiasm is palpable, the chatter, the wine bags, filled with Malbec no doubt… the picnic baskets, the Argentine flags… the people fierce with pride! Walking, walking…climbing, this is SO exciting! Just to imagine that thousands of people from around the world, involved in this privileged world of wine covet a presence at this spectacular event… there are no words…. to describe our experience! And we are here! A show that captivates for close to 90 minutes, then closes with the election of a new “harvest” Queen, who will represent the world of Argentinean wine, the crown goes to the department of Malargüe! 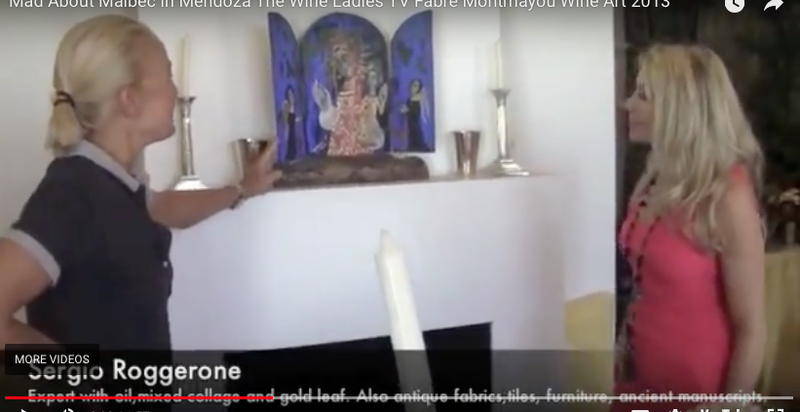 Here Diane and Herve proudly show us a very special piece of art gracing their family room, one done by friend and famous artist Sergio Roggerone celebrating the harvest and Festiva Vendimia. A big thank you to Hervé and Diane for their wonderful hospitality and generosity, sharing with us what Mendoza is all about, from the wonderful wines, to the rich culture… Mad about Mendoza … and her Malbecs! Salud! 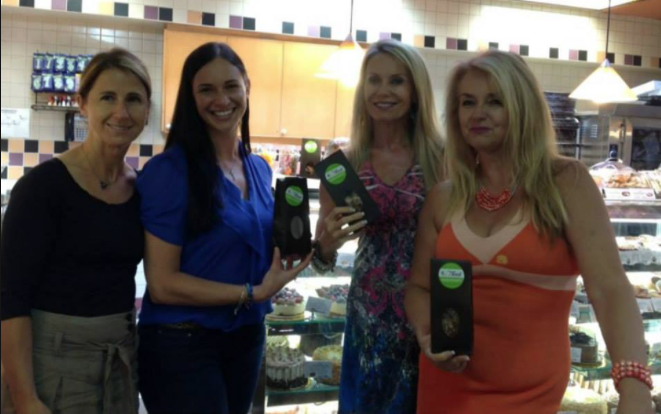 Dizzy with Decadence, on our Wine and Chocolate Tour! At Pondview Estate Winery with the Puglisi’s and David Levy of Chocolate Tales. Get ready to make truffles! Two of life’s greatest pleasures together, wine and chocolate, was the theme of the day. Enjoyed with an awesome group, a decked out limo for VIP travel,a knock-out fabulous chocolate inspired luncheon, three wine tastings, including icewine slushies and a chocolate truffle workshop, thank you David Levy of Chocolate Tales in Niagara-on-the-Lake, how much more can you ask for on a chilly February winter day. 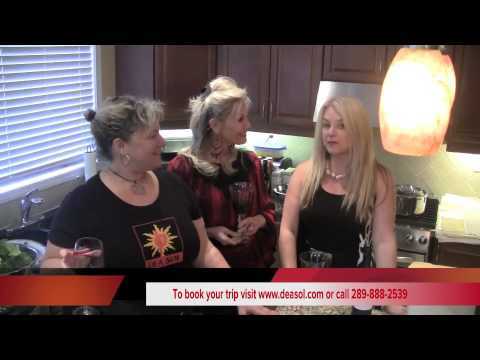 Never a dull moment and lots of fun on The Wine Ladies wine tours to be sure! 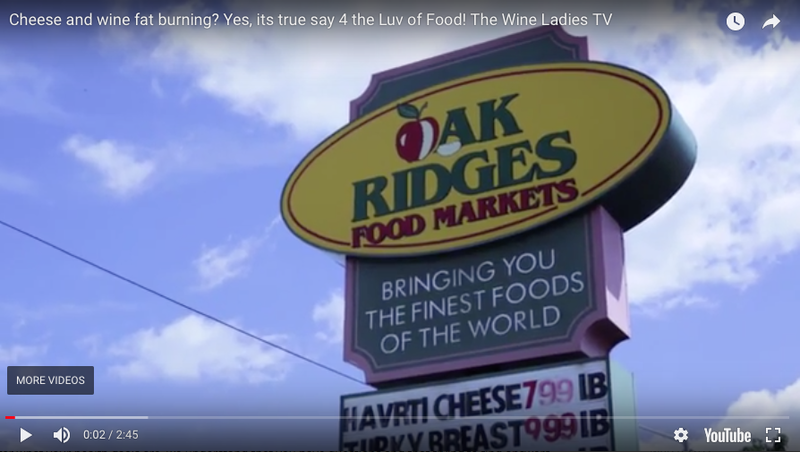 If you could just imagine the best possible group ever of extreme fun loving, crazy for wine and chocolate twenty-five individuals, it wouldn’t be much different from the incredible group we had with us on our inaugural Wine and Chocolate tour last month. All VIP guests receive a gift bag filled to the brim with wonderful surprises including some Cookies & Corks and d’vine Skin Care made from grapes! Lots of prizes to be won! Psychic Marishka and Fire Captain Roy each win a bottle of delicious 2011 Northern Ice 2011 Cabernet/Dornfelder Signature Series from the Ice House Winery. Congrats! https://www.thewineladies.com/wp-content/uploads/2013/03/pondviewlouwifeanddave.jpg 522 641 Susanne Seelig-Mense https://www.thewineladies.com/wp-content/uploads/2017/08/WineLadiesLogoTransparent.png Susanne Seelig-Mense2013-03-12 12:33:082013-03-12 12:33:08Dizzy with Decadence, on our Wine and Chocolate Tour! https://www.thewineladies.com/wp-content/uploads/2018/02/2009-10-28-00.57.59_preview.jpeg 960 1280 Susanne Seelig-Mense https://www.thewineladies.com/wp-content/uploads/2017/08/WineLadiesLogoTransparent.png Susanne Seelig-Mense2013-03-06 11:40:412018-02-11 12:43:32Horseback Riding, Bodegas Salentein, Argentina, The Wine Ladies TV, March 2013.